A rocky outcrop of near vertical jagged slate on the ridgeway leading down to Morte Point. 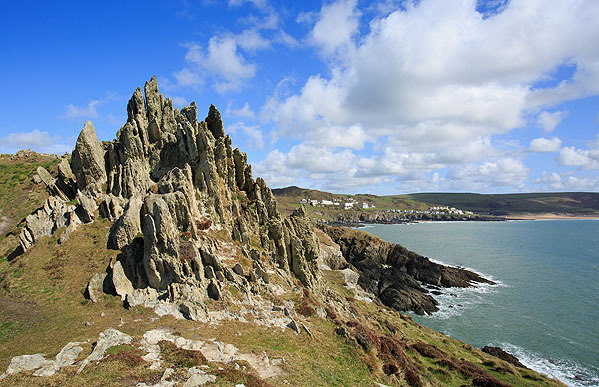 The Morte Slates can be found between Woolacombe and Lee Bay. Morte Stone , a sunken reef of jagged rocks off the Point , has wrecked numerous boats . On a clear day fine views of Lundy Is./ Worms Head / Gower / Glamorgan Coast .